Well, JD’s best friend, J, made it through his first day in the academy. As expected, the instructors are doing their best to break the new recruits. I remember, vividly, how beat down JD felt at the end of the first day. I will never forget the expression on his face as we sat down to dinner that night. J had that same expression on his face when he arrived at the house last night after his grueling 12 hour day. But, he survived. The only victory in those first few weeks of the academy is survival. From the supporting role standpoint, JD and I will do all we can to cheer him on and make his time outside of the academy as easy as possible. I have 2 weeks’ worth of comfort food planned, including pot roast, burritos, and pasta. Last night we had a big spaghetti dinner, which is the meal we had after JD’s first day. 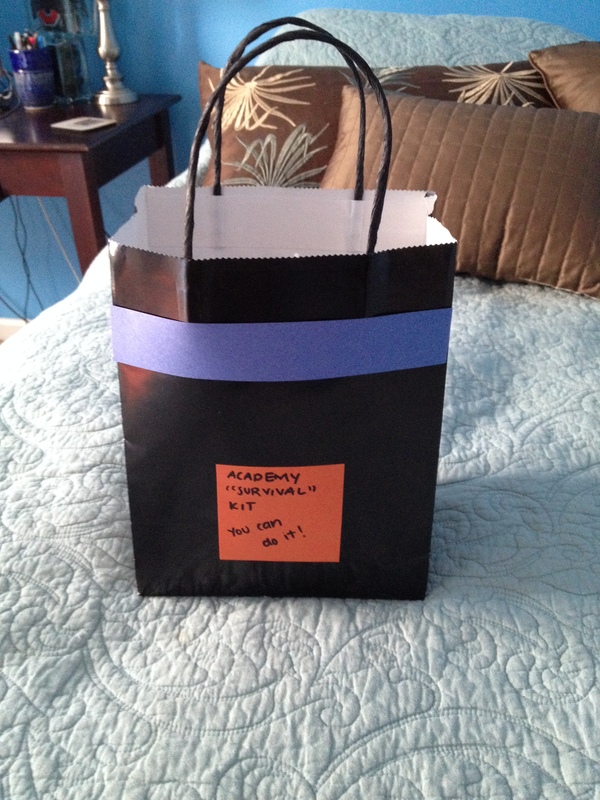 We also got him an “Academy Survival Kit,” which is something I did for JD when he started the academy. 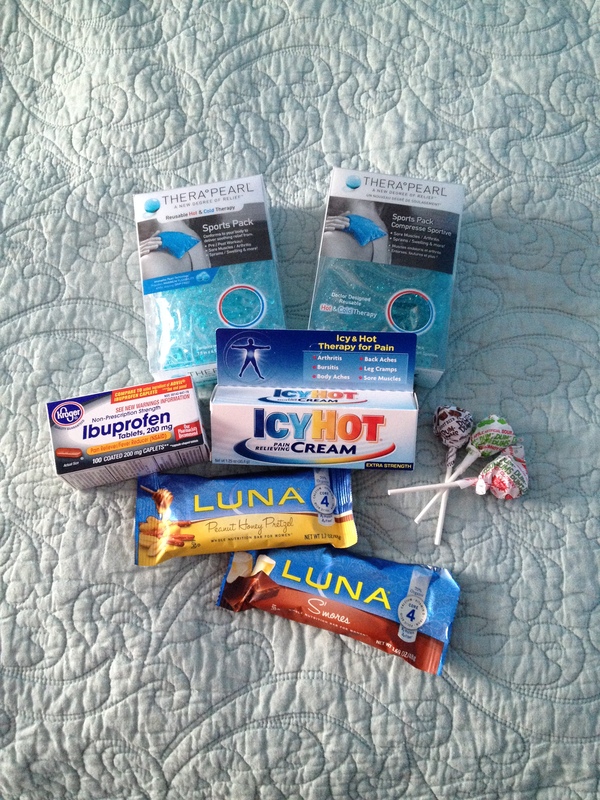 It has 2 reusable hot/cold packs, Icy Hot, ibuprofen, protein bars, and some candy. JD used the crap out of his and still raves about how thoughtful it was. Hopefully J will find it as uplifting. Also, I decided to get crafty and make the bag a “thin blue line bag.” Yeah, I’m cheesy like that. This entry was posted in LEO Life and tagged LEO, LEOW, Police, Police Wife. Bookmark the permalink.